Album number three. In the trajectory of any recording career, it's a milestone. But it's one with a mythology so powerful it's become a syndromic clich, around which swirls a dread that threatens to swallow its (supposedly) panicking creator. For plenty of artists, the "difficult third album" can loom like a hurdle of K2-scaled monumentality. How the hell might you tackle it, is the question. 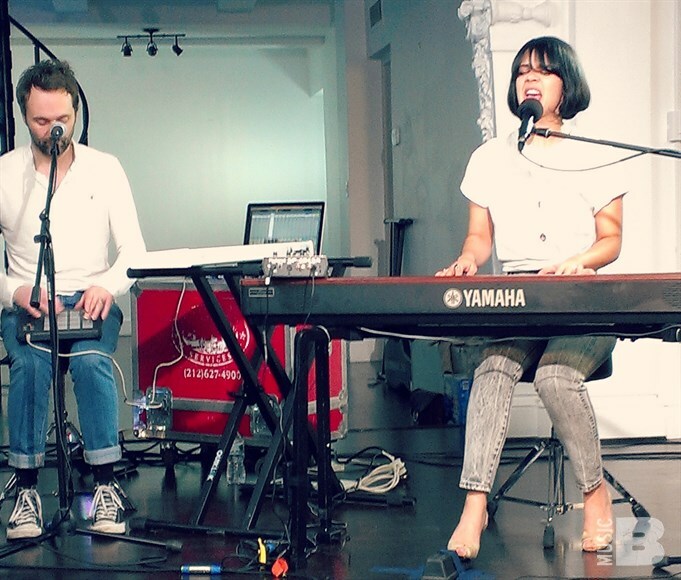 The answer, if you're Bat for Lashes, is you simply climb higher and through that, conquer your fears. 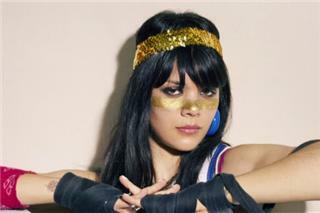 The creation of Natasha Khan, Bat for Lashes first captured hearts way back in 2006 with a set of distinctively haunting and rich, darkly phantasmagoric songs ripe with magic realism. Her sensual and gilt-decorated dream world was opened up in two Mercury Music Prize nominated albums, the atavistic, reverb-drenched Fur and Gold (2006) and 2009's more electronically poppy Two Suns. The latter featured the irresistible Daniel - which won Ms Khan an Ivor Novello award for Best Contemporary Song - and was recorded in London and across America. In the wake of its success, Khan was left in a migratory, unfixed state and a not altogether certain frame of mind. Coming off a heavy tour and after the end of a trans-Atlantic relationship, she decided some self-nurturing was in order and resolved to take as much time as was needed to make her third album. "I felt quite drained and tired, creatively," Khan remembers, "so I decided to get back to this really domesticated existence in my flat in Brighton. I felt like I needed to be immersed in nature and have a quiet, reflective time." That involved working on dance films, writing a script, children's book illustrations, a spell of volunteer gardening at Charleston House in East Sussex (the Bloomsbury Group's country retreat) and going back to Brighton University for some informal tutorials with her old art teacher and reading recommended books. One of these, 'The Enchantment of Art' provided a small epiphany and planted a seed of change in her approach to what was to become The Haunted Man. "I found it interesting," she says of the book, "because I'd felt quite disenchanted myself and needed to find the magic again. It's about how modernism is all to do with the individual, and the fact that your worth is measured in how different and inventive you can be. The more we get into post-modernism, the harder it is to feel that you're doing something that hasn't been done before. I was trying to navigate fresh waters and find something new to say with the third record, and a lot of the book talks about getting back to nature sacred spaces and about communal, collaborative activities." Khan invited Scott Walker and Yeasayer to contribute to Two Suns and worked with Beck on Let's Get Lost (from the 2011 soundtrack to 'The Twilight Saga: Eclipse'), but collaboration isn't something she has fully embraced until now. On The Haunted Man she racks up a co-songwriting first with Laura. This devastating, tear-stained swoon of a piano ballad, which tips its hat at the '70s pop greats - Elton John, Neil Diamond, The Carpenters - and features seductively sombre horns and strings (arranged by Natasha) was co-authored by Justin Parker, best known for his work on Lana Del Rey's chart-topping Video Games. Khan's aim with that song was "to learn something about writing a standard, because my chord progressions are naturally more subversive. The concept of a middle-eight is really foreign to me! It was like doing a workshop in songwriting, and I think it's really helped me see where you can go. I've always been a bit snobbish about the idea of writing with somebody else, but when I looked back at a lot of artists I admire and respect, it turned out they had often co-written their songs." Relinquishing her idea of "ownership" a little isn't the only change Khan has made with this record. 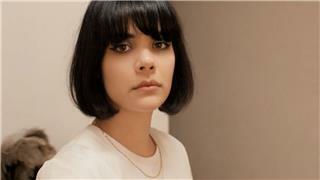 She's also upped the contemporary beats ante (she's as big a fan of Lil Wayne, Rihanna and OutKast as she is of Kate Bush and Steve Reich), turned up the volume on her vocals, experimented with harmonies and production, and at times opted for unusual contrasts over straightforward complements. It's a bolder, more direct album that's achieved Khan's aim of "clearing away a lot of the fog", without sacrificing any of her trademark sensuality or emotionalism. Autoharp and piano again feature, alongside strings, horns and synths/samplers, but they are used in a more expansive and jubilant manner. Lilies ignites a gorgeous conflagration of strings, through which Khan's triumphant "thank God I'm alive" cuts like a freshly sharpened scythe through long grass. Horses of the Sun moves to a more tribal and incantatory beat and All Your Gold dazzles with its mix of electronic beats, echo-laden synths, strings and sudden blurts of electric guitar. The fx-heavy Marilyn is the album's most romantic, playful track and features Beck, who was the first person Khan took her new songs to for feedback in May of last year, when she stayed with him and his family in Malibu. Most intriguing is Oh Yeah, which meshes a male voice choir with grimy hip hop beats, psychedelic synths, flanged guitars and a piano outro, without once losing its way. The title track is one of the album's two pole stars. Khan sees it as the record's "godfather", representing the trauma of loss and miscommunication (with the other being the more hopeful 'Lilies', exploring creative resurgence, love and sensuality). 'The Haunted Man' is an overwhelmingly lovely song, poignant and ghostly, but with a strong restorative charge and was inspired by David Lean's movie 'Ryan's Daughter', which is set in 1916 against the backdrop of the Irish conflict. Explains Khan: "I thought: What if all the soldiers came back from war and yours was the only one who didn't return home? 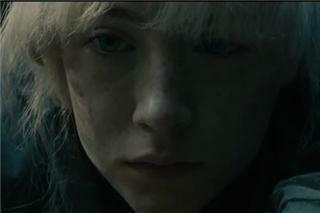 I wondered, if your soldier did come home, how as a couple would you cope with the experience of being tender again. It's about women waiting, and carrying the weight of men's mistakes and it's about our desire to communicate, even though we sometimes speak different languages." This was one of several songs she worked on with Rob Ellis, when they and other players decamped to a house in Perugia last summer, and it involved projecting massed male vocals across a canyon with an amp, then recording the slapback - a sonic metaphor for the men returning over the hill from war. The Italian sessions were - like her trip to LA, where Khan also spent a couple of days swapping ideas with producer David Sitek about finding a way forward for the album, "a collage-like process" which lasted for over a year. The Haunted Man was co-produced by Khan with David Kosten (as were both previous LPs) and Dan Carey, who she says did "an amazing job, setting up old drum machines and putting them through a load of old amplifiers and mic'ing those up around the room." Further contributors include guitarist and producer Adrian Utley and venerable arrangers John Metcalfe and Sally Herbert, who both worked on orchestrations alongside Khan, for the recording session at Abbey Road. Other changes Khan effected ran deeper than the album's sonics, and involved her making important bloodline connections and observing generational patterns, leading to an exploration of her own ancestry. The idea of place - geographical, emotional and spiritual - has always been important in her music and the nomadic Two Suns was very much to do with America. This time, Khan decided to put her roots down in her homeland, resulting in a very English record. With this rediscovery of her roots and beloved home, The Haunted Man is the most autobiographical of Khan's records so far. "On this album there are more jubilant, overwhelmingly ecstatic songs and I don't think I've really accessed that part of myself before. I feel those things all the time, but hadn't really expressed them in a musical way. It's always been easy for me to be atmospheric and look at the darkness - and I do love that side of art and music - but I think it's much harder to be unabashedly joyous and vulnerable and happy. I wanted to challenge the creative patterns I'd set myself in and also to just surprise myself. I'd bored myself. So, out of that came some very lovely and some very challenging moments for me as an artist. But I think it's very important to be challenged. It's a good sign to be scared, I think!" Surprised. Challenged. Scared. That might sound like the very definition of a "difficult third album." But it's only in the telling of this confident and openly expressive record, not in the listening. And it's clear that Natasha Khan wouldn't have had it any other way.